(1) I’m not sure whether the merge northbound is handled as well as it can be, from a placement and signage point of view. 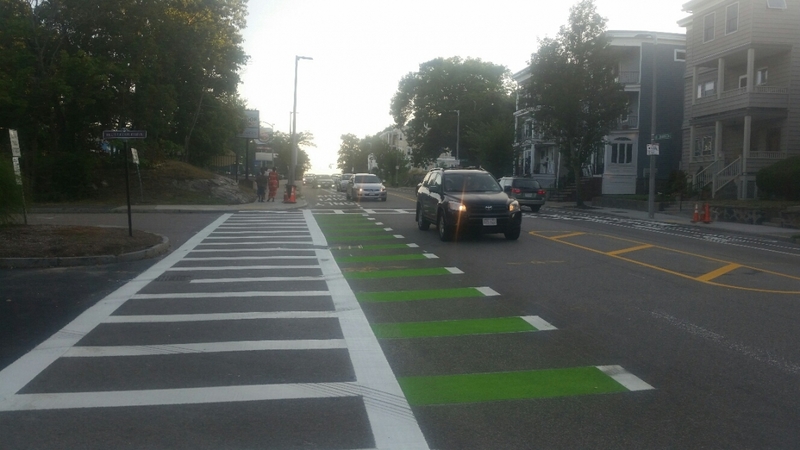 When I observed it on Wednesday (a couple of weeks after installation) it seems that people are merging well after the West Roxbury Parkway intersection, as they’re getting ready to speed up and cruise downhill. 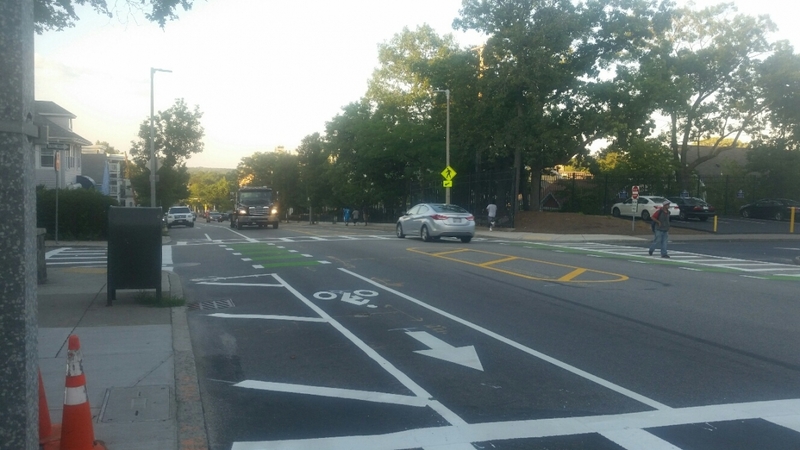 Did we consider eliminating the lane *before* the intersection, by making the right lane “right turn only” and blocking it off either physically or at least painting it out after the right turn slip lane? If that were done, by the time drivers made it through the intersection, it would be clearer that there is only one lane. (2) At some point (Beechland Street?) 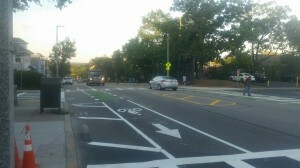 the bike lane disappears and the road becomes two lanes again, until the Walworth/Beech intersection. I assume that this is because of the volume of traffic turning left onto Walworth, but how about marking the left lane “left turn only” at that point? Otherwise, the two northbound lanes (currently both of which allow northbound “straight” traffic) need to merge a second time in 1500 feet, causing additional stress for the drivers. (3) I hope that our “close watching” of the improvements includes monitoring the compliance at the crosswalk beacon. 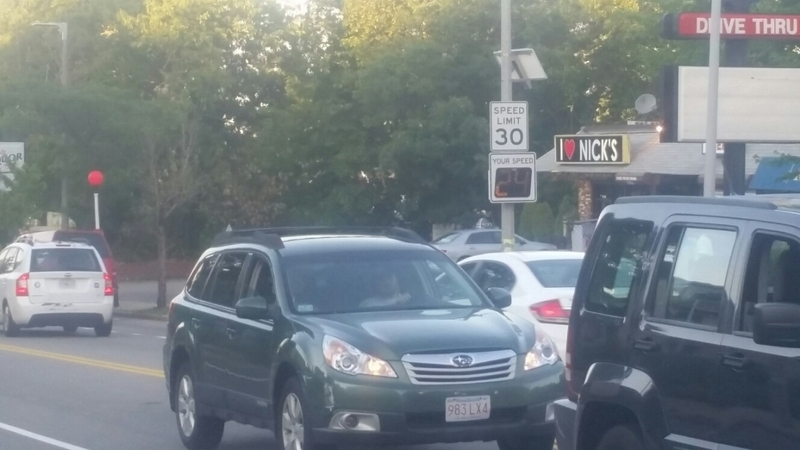 My sense from observing the one at the Harvest Coop is that compliance is way less than it would be with a proper crosswalk signal that actually turned red. 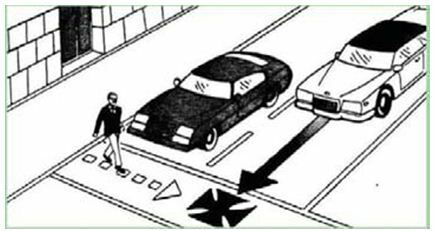 Is there research comparing compliance rates between plain crosswalks, crosswalks with RRFBs and crosswalks with full signals? 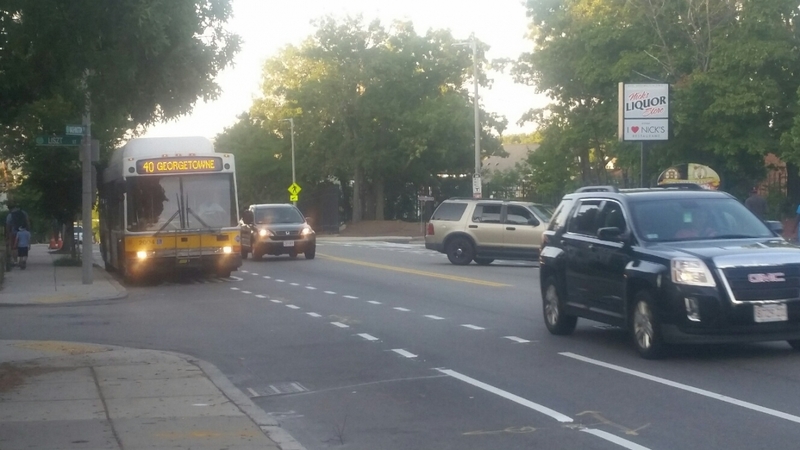 Was a “real” crosswalk signal considered and rejected for some reason?